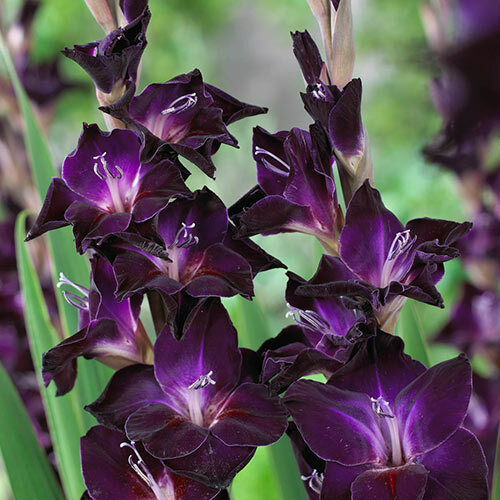 Place a vase full of these dark purple glads on a side table or kitchen counter and enjoy their style, color and beauty. Of course, Waris is also an outstanding variety for filling a sunny border or container garden. 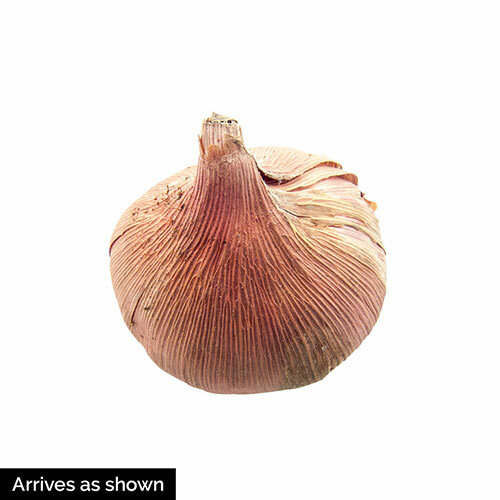 They grow quickly and are easy to maintain, requiring only a well-drained site and full sun to do well. Large, 3-4" ruffled florets grow along one side of stately, robust stems, opening 10-12 at a time. Give a bunch as a thoughtful gift or simply plant them where they can be seen and enjoyed in the landscape. Deer tend to avoid the tall, 24-36" flower spikes, but we're sure you'll love them. Foliage TypeLong strap-like leaves, medium green in color. PruningCut back spent flower stems. Winter CareLift in fall if you live in Zones 3-7 for winter storage. Replant the following spring after frosts are over.